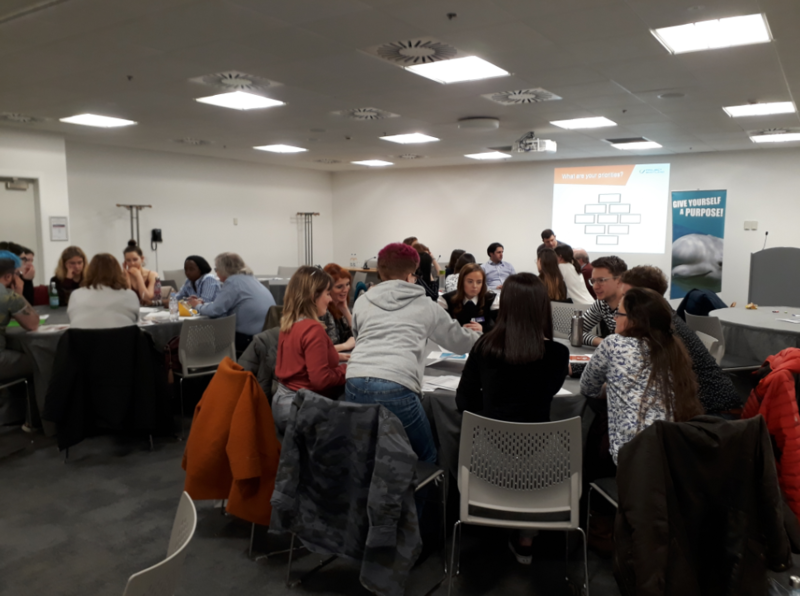 At this year’s SCVO Gathering I was part of a workshop looking at what the Sustainable Development Goals mean to young people in Scotland. The workshop fed-in to the work of the recently launched Youth Voice in a Sustainable Democracy project, run by Project Scotland, IDEAS and SCVO. 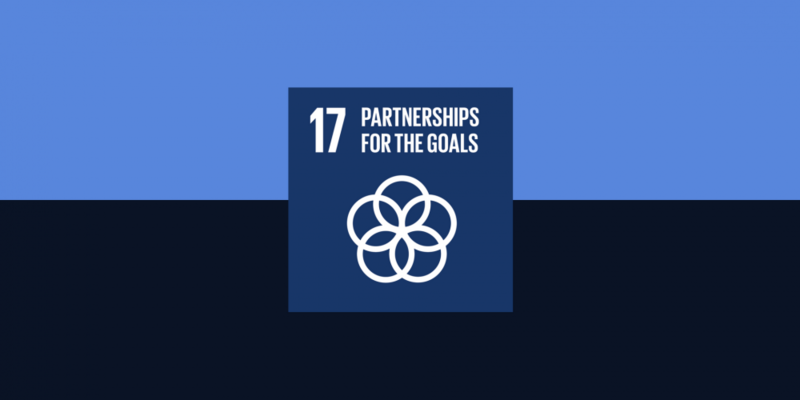 The Project Involves a group of 30 young people coming together to discuss the Sustainable Development Goals. These young people, of which I am one, are from all around Scotland, with a variety of passions and priorities. Our first day-long session was held in February in Aberdeen, and was followed by the two-hour workshop at the SCVO conference The Gathering, which was attended by some of the group as well as conference attendees. I was not hugely familiar with the SDGs before joining the Youth Voice project, despite the fact that they’re blu-tacked to the walls of my office! There was a range of knowledge throughout the group, and everyone had goals they were particularly attached to. We explored this throughout the first workshop, by getting into groups and deciding on goals to prioritise. This led to some intense debates – how do you choose whether to work on ending poverty or providing good quality healthcare? We often came to a standstill, agreeing to put goals on an equal level because they were indivisible. For example, we all agreed that sustainable cities were necessary, but without devoting resources to clean energy sources, would that be possible? We tried this exercise again at the Gathering, with a slight twist. Realising that it was too easy to just say we will prioritise each goal, the groups were told to narrow it down from 17 goals to 9, and put them in an exact order of priority. This made things a little more difficult, encouraging everyone to uses their persuasion skills! There was also an opportunity for group members to visit other groups and make a case for the goals they had chosen – although most groups stuck with their original choices. At the end of the activity, each group reported back their goals in order of priority. Interestingly, all of the groups had very different focuses, and different paths to reach them. For example, one group prioritised infrastructure and policy; another the justice and legal system. One thing that became clear was that everyone believed that the goals shouldn’t be isolated; they connect and affect each other. Similarly, we need to work together to achieve them. The workshop led to some heated discussions, encouraging people to think about their decisions, and the best way to explain them to others. It was especially useful to have the range of ages and attendees, as this provided a real diverse group of experiences to reference. The session also generated some interesting ideas that will feed into the ongoing Youth Voice in a Sustainable Democracy Project. It was great chance to speak to professionals in various roles, and see how the SDGs are valued across the third sector (and beyond). I am very excited to continue to work on this project over the year. We have each chosen goals that we are most passionate about, and will work out ideas for policies and concrete change that can be made to further them. Over a series of workshops (as well as discussions on an online platform and individual work) we, as young people in Scotland, will propose new directions and paths to take. This will culminate in an event at the Scottish Parliament, in which we will be able to discuss our proposals with MSPs and other influential figures. This is hugely important as it gives young people the opportunity to take the future into our own hands. Too often, we are left out of conversations that will hugely affect us – we are seen as apathetic, naive. It’s through projects like this that we are able to convey what many young people and those who engage with them know – we have opinions, we have ideas, and we care greatly about our planet and our society. This was celebrated throughout the Year of Young People 2018, but we are going to continue to create the change that we need to see, until we see it. Watch this space!